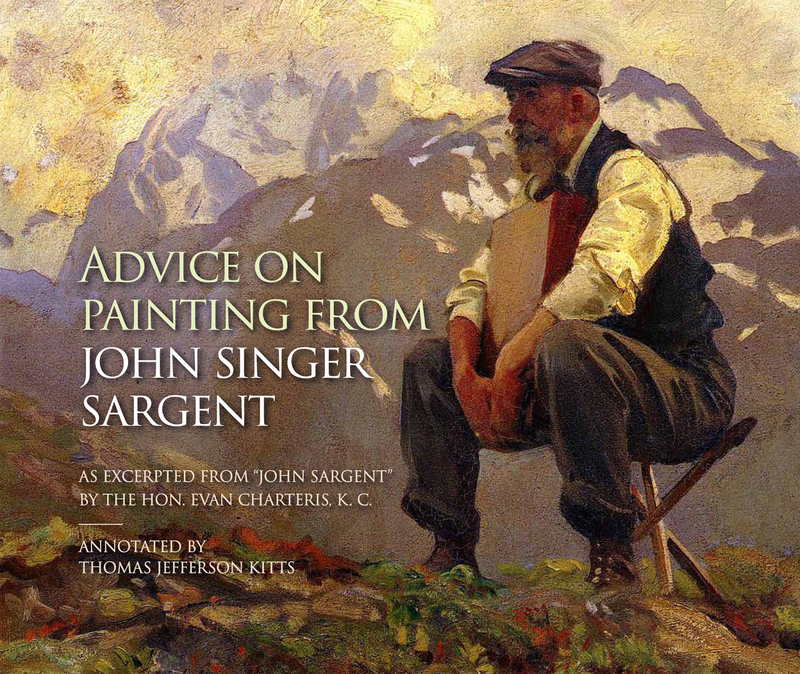 This workshop is offered to the beginning-to-moderate painter. Your instruction will focus on how to paint en plein air in oil, under natural light, in the field. 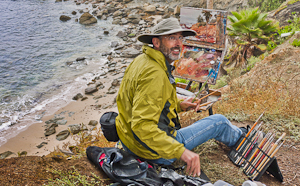 In this workshop you will learn ways to resolve the issues that confront the plein air artist. Thomas’ instructional style is fun and informal and shows respect for every level. Each day he will present a mix of brief talks, demonstrations, personal guidance, and ample opportunity for you to paint. This will be a fun and enjoyable experience while you paint. 1) How to see and mix naturalistic color. Then accentuate it expressively. 2) How to organize the value relationships of your subject into larger masses. 3) How to selectively edit out detail to create a bold and dynamic image. 4) How to manage your edges and transitions, apply thin-to-thick paint, and introduce exciting and descriptive brushwork. 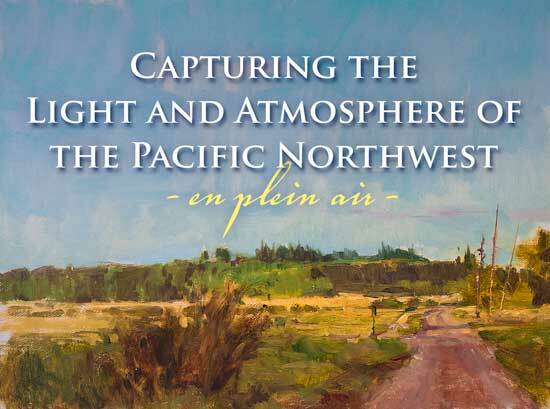 to paint anywhere, anytime, indoors or out – en plein air, or not! About Thomas: I have over 27 years experience painting en plein air under every outdoor condition you can imagine, and in doing so I have learn a lot about the genre. Plein air is my first love and artistic focus, beginning in 1984, before anyone really knew what it was. In addition, I have experience teaching studio-based painting, drawing, and illustration at the Pacific Northwest College of Art (from 1990 to 2001) and I am respected for my ability to teach and inspire my students. I actively exhibit in solo and groups shows across the United States and collected by private and corporate entities. 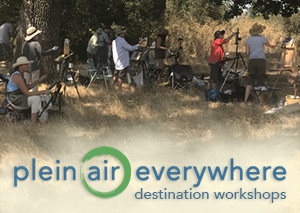 Recently, I’ve been participating in the most prestigious national plein air events in North America — such as Carmel, Sonoma, Los Gatos, Telluride, and Laguna Beach (with Easton and the Caribbean island of Curacao next!) — where I’ve been awarded Best of Show/First Place, Mayor’s Choice, and numerous Honorable Mentions.